A Rifle Police Officer initiated a traffic stop May 14 after noticing a red vehicle traveling 15 miles faster than the speed limit. The officer said he started following the vehicle at about 1:50 a.m. It swerved over the emergency lane repeatedly. The officer said he turned on his emergency overhead lights and the driver slammed on the car’s brakes, swerving onto and off of the highway’s exit ramp before finally coming to a stop. The officer said he observed the driver and passenger switch seats before making contact with the vehicle, adding the suspicious behavior prompted him to call for backup. Three additional law enforcement officials came to his aid. The officer said he approached a female in the driver’s seat who was shaking excessively and a male, with a blanket over his head, was sitting in the front seat, “acting like he was asleep.” However, the officer noticed the passenger opened his eyes several times to look at the officer from under the blanket. An officer approached the passenger’s side of the vehicle and asked for his ID. The 22-year-old said he had lost it and gave officers two aliases when they asked for him to verbally identify himself. The female admitted she had switched seats with the male because he didn’t have a valid driver’s license. Officers said in court papers, the woman also had a protection order against an unknown male. Officers asked the male passenger to step out of the vehicle after he provided a third false name. He stated about six times that he hadn’t done anything wrong, adding that he didn’t want to go back to jail again. After a short foot chase, an officer used a stun gun to subdue the male. After verifying his real name, officers found the aforementioned protective order was issued against the male. He is charged with violating a restraining order, criminal impersonation, obstructing law enforcement officers, speeding and driving without a license. A 32-year-old male suspected of a series of car break-ins was arrested last week for failing to appear in court. 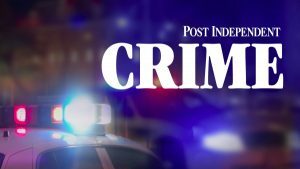 The crimes stem back six months and started with a Rifle police officer who reported a car break-in and a series of fraudulent purchases on his health savings account card. 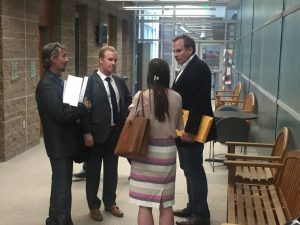 Court documents indicate that someone shattered the officer’s passenger window and stole his wallet while the officer and friends were climbing in Rocky Mountain Park on Dec. 21. The officer said he could see his car from where he was climbing and noticed another vehicle pull up alongside it during the hike. In court documents, he said it’s common for people to stop and take pictures near where he parked, and he thought nothing of it. Later that day, the officer visited Alpine Bank to report his HSA card had been stolen. 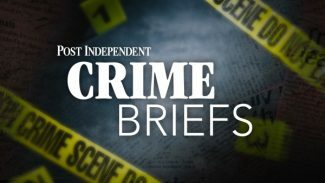 The teller said there had been recent activity on the card, indicating more than $1,500 in purchases at various stores in Glenwood Springs and Silt. The teller was able to obtain surveillance footage of the suspect making the fraudulent payments. An investigator with the Garfield County Sheriff’s Office said she recognized the person in the footage from previous car break-ins. She said the suspect was no longer in jail and may be in the area. Officers searched for the suspect’s vehicle and found it matched the description of the car that had stopped at Rocky Mountain Park. On Jan. 11, the suspect was arrested for a crime unrelated to this case. He was questioned about using the officer’s HSA card and refused to speak to police officers. He was released on bail and failed to reappear in court to address those charges. 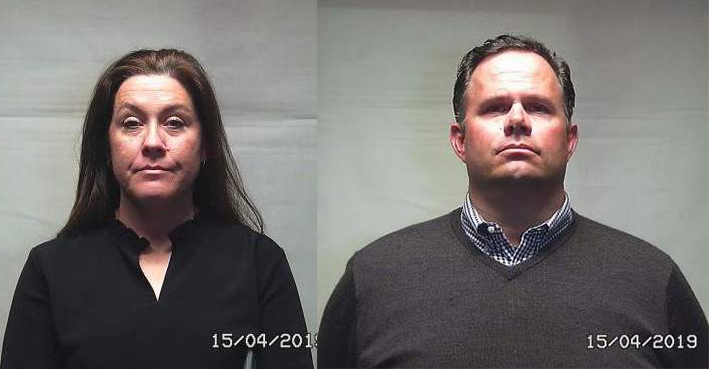 On May 18, he was rearrested for failing to comply and appear in court for the previous charges, which are not specified in the court documents. His girlfriend was shown surveillance footage and asked to identify him in the video. She mentioned she had never seen him in the clothes he wore but said the suspect resembled him. 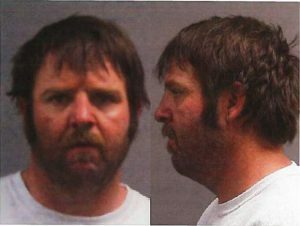 He has been charged with six crimes related to ID theft and criminal trespassing. A Glenwood Springs Police officer initiated a traffic stop May 18 after he noticed a gray Honda traveling with a cracked windshield. The officer wrote in court documents that the crack in the windshield was obstructing the driver’s view. In making initial contact with the driver, the officer says he noticed a bottle of tequila in the vehicle’s center console and, after running the driver’s license plate, he found the color of the car did not match what was listed on the registration. The driver said he had just purchased the car and wasn’t sure if it was insured, adding that his license wasn’t valid in the state of Colorado. The officer wrote in the court papers that he asked a female passenger for her name and identification and she stated her name, adding she had no ID. After running the driver’s identification, the officer found two active cases involving child support non-payment. The officer said he found no record of the female, which made him suspect she had provided false information. She retracted her previous statement once the officer told her of his suspicion and admitted she had given a fake name because she had five warrants for her arrest. She was arrested and, upon searching possessions, the officer found hypodermic needles in her purse. The male driver was not arrested but advised he would be detained through further investigation. He told officers that the female had “hidden narcotics in her crotch” at the time of the traffic stop. The officer, who says he walked around the vehicle, observed a plastic baggie with narcotics on the floor behind the passenger’s seat. He also located a Diazepam pill and two more hypodermic needles with a knife inside the vehicle. When the officer asked whom the Diazepam belonged to, the female passenger admitted everything was hers. The officer asked the 33-year-old woman if she had any other drugs hidden on her, and she said no. At Garfield County Jail, a body scanner detected more drugs hidden inside the woman’s body. The officer asked her to come clean again, and she agreed to remove the drugs. She has been charged with unlawful possession of a controlled substance, theft, forgery, failure to appear and three counts of failing to comply/ pay.